Become a certified Dispensary Technician…and pave your way to success today. 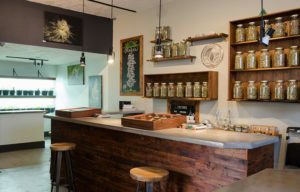 Dispensary Technicians (also known as a “Budtender”) work in both medical and recreational dispensaries and play a variety of roles for the customer. You must play the role of an educator; working with the patient or customer to find the strain that best suits their needs or educating consumers on the laws surrounding its use. Whether you’re new to the role or have been a Dispensary Technician for a while, our certification training will give you the tools you need to become a well-known and approachable expert for your clients. We train you on all the important aspects of cannabis so that you can provide education to customers as well as compassionate recommendations for the patients that you serve. 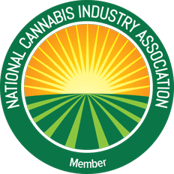 Education is a powerful tool for you to attract new customers, increase positive community relationships, and ensure the safe operation of the dispensary. Your customers have a wide variety of needs, and you need specialized knowledge to help them no matter where their needs fall. You will receive the training for the most popular position in a cannabis dispensary, the Dispensary Technician. As the industry is rapidly growing in legitimacy, our training will provide you with the skill-set and knowledge needed to succeed in this position. Our training and certification curriculum will equip you with the knowledge necessary to be a valuable member of the dispensary team. Budtenders must stay abreast of trends in the industry, as well. With the expert-level knowledge, you will gain in our Dispensary Technician Certification, you will be better equipped to spot and foresee trends, and pass that benefit on to your client, business, or employer. You know as well as we do that this industry is becoming increasingly competitive. Take the initiative to get certified today, to solidify your expert-level knowledge and give you a much-needed competitive edge. You’ll be glad you did.